Reporting to the Director of Sustainability, you will play a pivotal role in administering a first of its kind CLC sector wide client survey for Victoria. This survey will build further understanding and provide insights of the effectiveness and suitability of services being delivered to the community. You will manage all aspects of the project to a strict time line and actively engage with all relevant stakeholders. To be considered for this position, you will have demonstrated project management experience and a track record of delivering on project objectives within tight timelines. You will have superior time management skills where you are adept at working in a fast paced environment with changing priorities. Together with your expertise in stakeholder engagement and management you possess the ability to negotiate effectively and communicate empathetically through your strong relationship and networking ability. A current Victorian driver’s license is desirable. If you want to contribute to a first of its kind client survey for Victoria that will further expand on the quality services that the CLC sector provide to their clients, then please click apply, submitting your resume and covering letter in MS Word format, quoting reference #34211 or phone Emma Naglieri on 03 8319 4080 for further information. 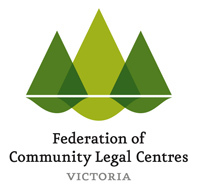 The Federation of Community Legal Centres (Victoria) Inc is the peak body for community legal centres (CLCs) across Victoria. They lead and support the community legal sector in fighting for a fairer, more just community, support members to provide independent community-based legal services and advocate for social justice and a fair legal system. Community legal centres are independent, not for profit community organisations. They provide free lawyers, social workers and legal education to the public, especially to people who can’t afford a lawyer, or who are facing injustice or inequality because of their race, gender, sexuality, class, religion or other identity. They fight for human rights, equality and environmental protection. Please quote in application: Project Manager - Client Surveys via Pro Bono Australia.